Add a sporty edge to your wardrobe with these looks inspired by Rihanna’s latest Fenty x Puma collection. Rihanna has owned the past few years and she doesn’t seem to be stopping anytime soon. From her chart-topping music, to her acting roles, her much loved cosmetic line (check out our article testing out the Fenty Beauty Foundation), and of course her fashion line Fenty x Puma, Rihanna has shown her talent is limitless! In 2015 Rihanna was named Creative Director of Puma and she continues to bring the brand to new levels of styles with each collection she releases. The Fenty x Puma Spring 2018 Ready-to-Wear Collection was the definition of high-fashion athleisure. The collection combined motocross and surf-inspired pieces with vibrant colors for a unique collection we’re dying to copy. Rihanna changed it up with this collection. Her previous collections featured mostly oversized looks, but for the Spring line, she added more fitted silhouettes to the mix. The navy and hot pink color combination Rihanna chose makes for a super fun retro look! Add in a bright shoe and you are sure to turn heads. 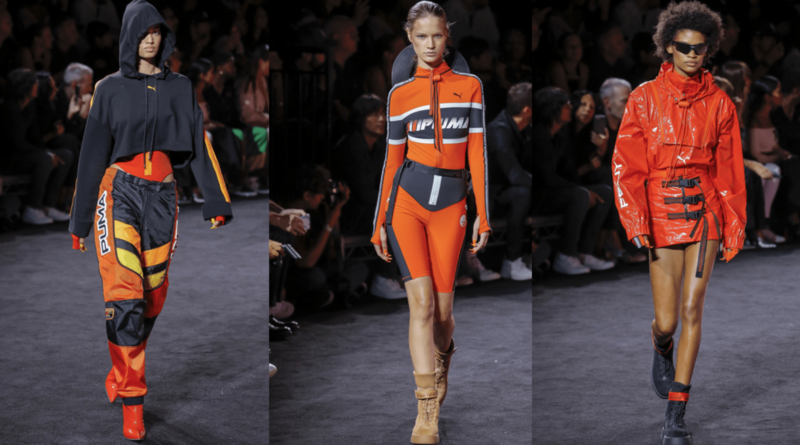 Fiery reds and oranges were all over the runway at Fenty x Puma Spring 2018. These bright colors were applied to X Games-inspired pieces to create a super unique, ultra-sporty vibe. 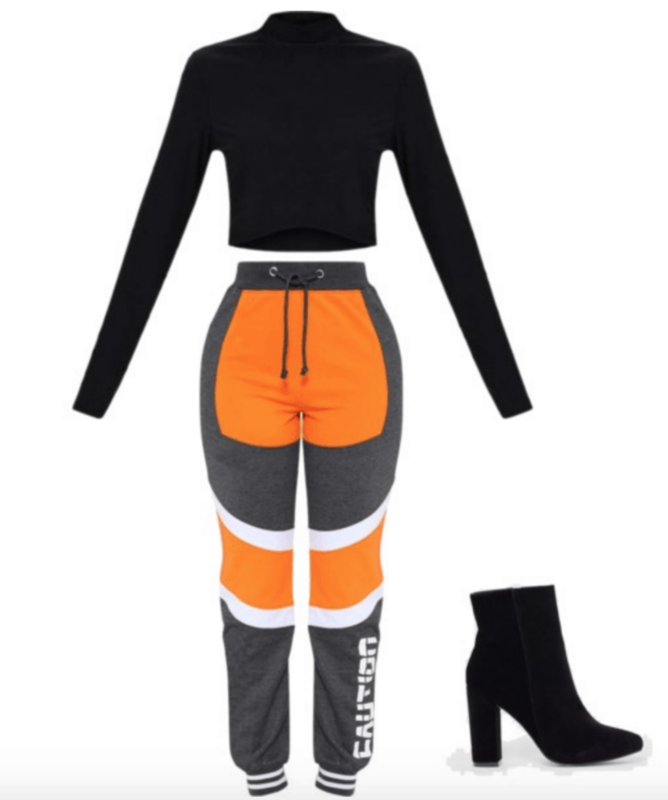 To get this look yourself, start with some cool gray and orange sweats from Pretty Little Thing. Pair the pants with a fitted top to balance their oversized fit. Complete the look with a pair of ankle booties for an off-duty-model vibe, or add a pair of sneakers as a more casual option. To achieve this look for yourself, grab a pair of cargo-style pants and pair them with a heeled ankle boot. This lace-up boot is very Rihanna. 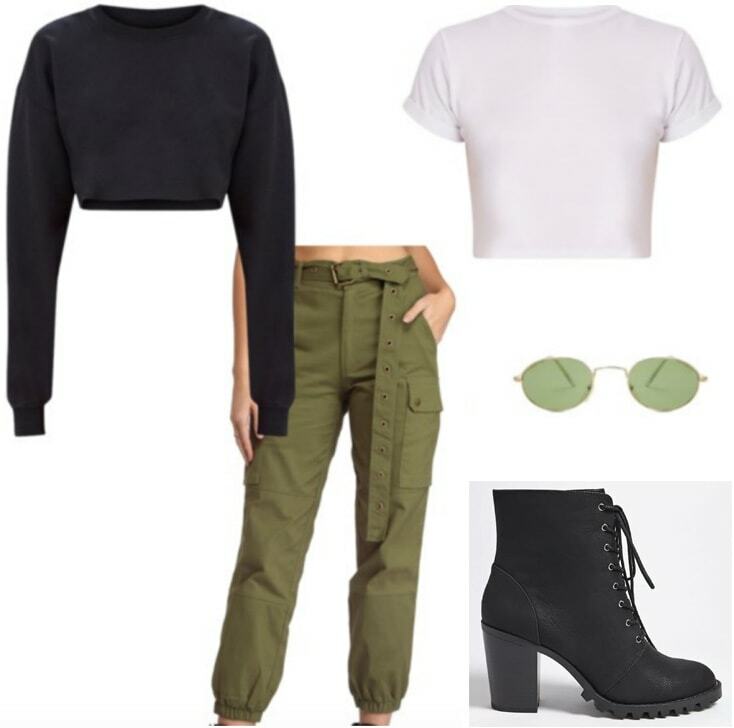 To keep the effortless street style look going, add a cropped tee or sweatshirt and some trendy small round sunglasses. What do you think of Rihanna’s FentyxPuma Spring 2018 collection? Which look was your fave? Which designers would you like to see next?